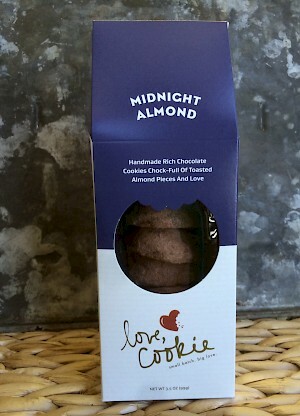 Midnight Almond Cookies is a HIT! The flavor of these cookies just melts in your mouth - the perfect balance of chocolate, almonds and sugar. These are light and delicious. One cookie is just under 20 calories, one gram of fat, 20 mg of sodium and under one gram of sugar. I could see enjoying these with some champagne. One note, two of the cookies were broken, so the interior packaging needs a little more work. These are an every day indulgence! Imported from New Orleans - which is why the recipe is so good!